On my way to a Napa wedding in Estee Lauder makeup (c/o), Maybelline's "Fuchsia Fever" lipstick, Sorrelli earrings (c/o). Wedding outfit: Modcloth leopard cardigan & lace dress similar (c/o), Topshop ruffle clutch. Visiting friends at a Napa mansion. 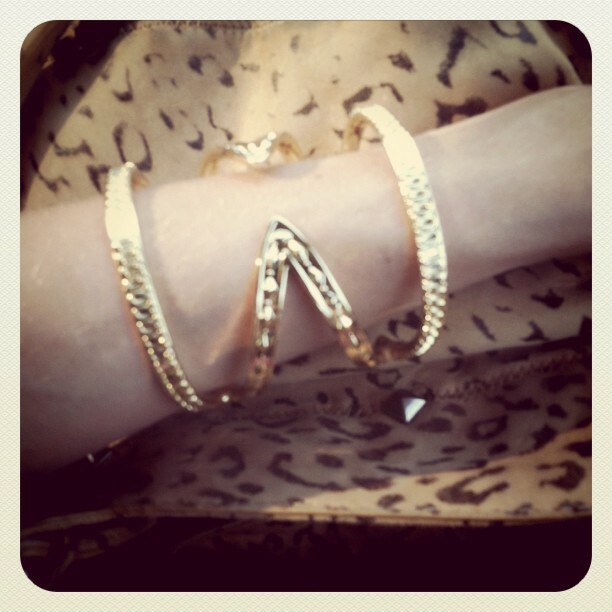 Rocking a House of Harlow 1960 cuff c/o Hallelu . Channeling the '50s in my H&M skirt & tank, Les Componsantes handbag (c/o), Karen Walker sunnies. Wearing a Chloe Rose fisherman's sweater and Design Lab jean shorts (c/o). 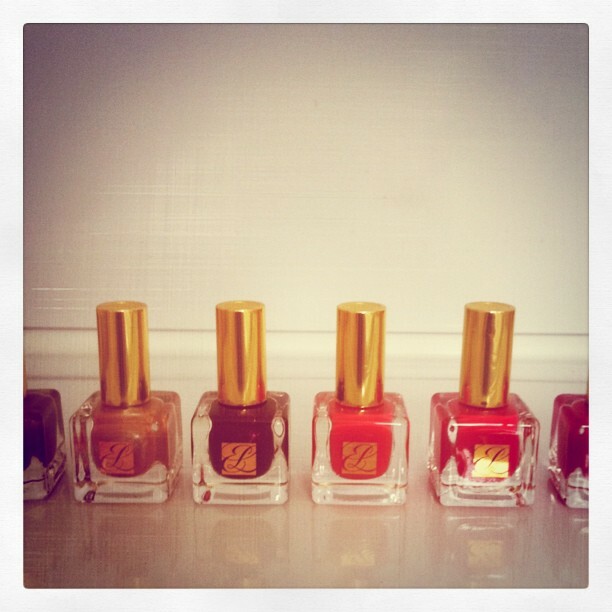 Trying to decide on this week's Estee Lauder color. Playing with my new Bauble Bar bangles (c/o). 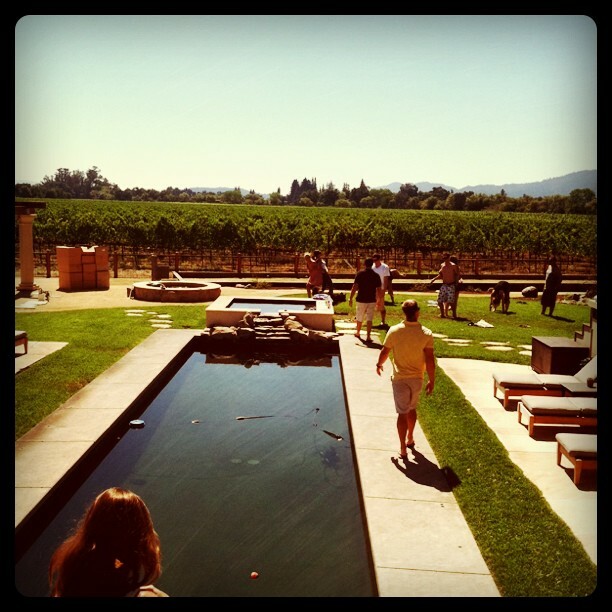 This weekend we headed to Napa, CA for a friend's wedding. It was such a beautiful (albeit short) getaway! However, I returned home with a nasty head cold. Since I wasn't able to take any photographs this weekend and now I'm sick in bed I thought I would share some recent snapshots from my Instagram. 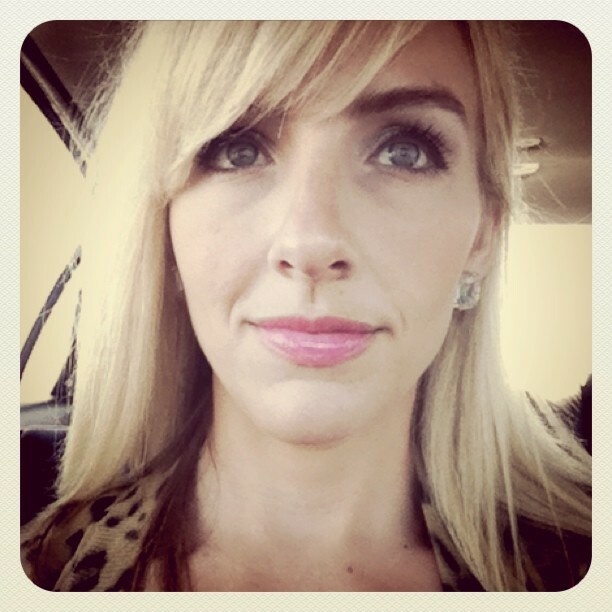 love - i need to try that lip color, and always adore seeing you rock baublebar! 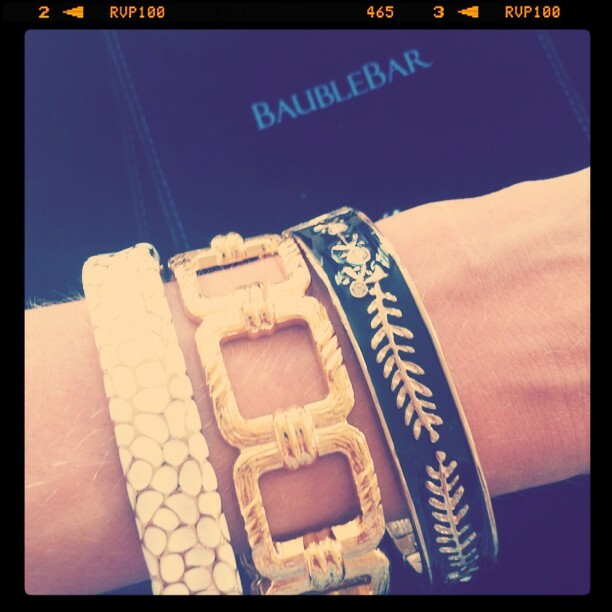 love those bauble bar bangles! such a pretty combo! Looks like you had such lovely time in Napa! 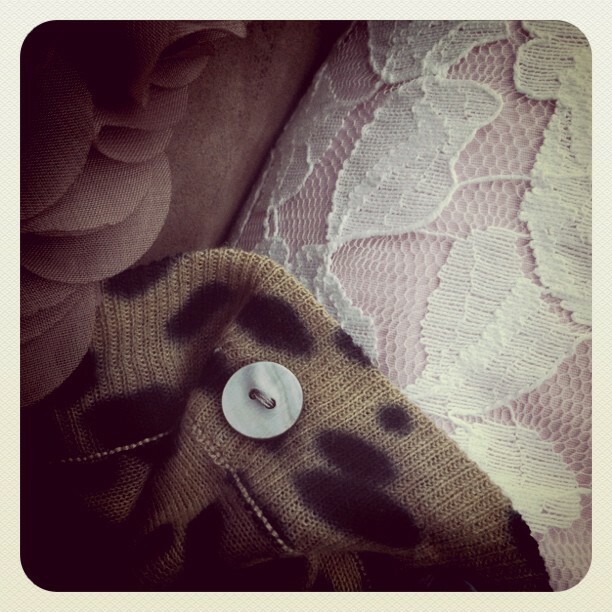 The leopard cardigan and the House of Harlow bracelet are incredibly beautiful. Loving all your goodies! J.Crew's collection this fall is amazing, and that skirt you bought it extra sweet. Wow, looks to be the start of one gorgeous ceremony! Love all your bling! That chunky link bracelet is just what I need to add to my Fall wardrobe! I loved hearing about your trip. Wanted to see the full lace/leopard print ensemble. Awesome photos! love the knitted sweater and bangles! love that fisherman's sweater! so cute! I love your bangles, and that sweater looks so cozy! I love the jean short and sweater combo. So comfy chic. Hope you recover from your headache soon :). I totally love your bangles. I like everything. nice blog. LOVED this post!!! Feel better lady!! Get some rest ... you work so hard!!! XOXO! Geeez why do you have to be so cute! The fisherman's sweater kills me love! love the hoh cuff- so pretty! Cool shots!!! I like your white off jumper!!! I love these shots. I can't wait to get an iphone. 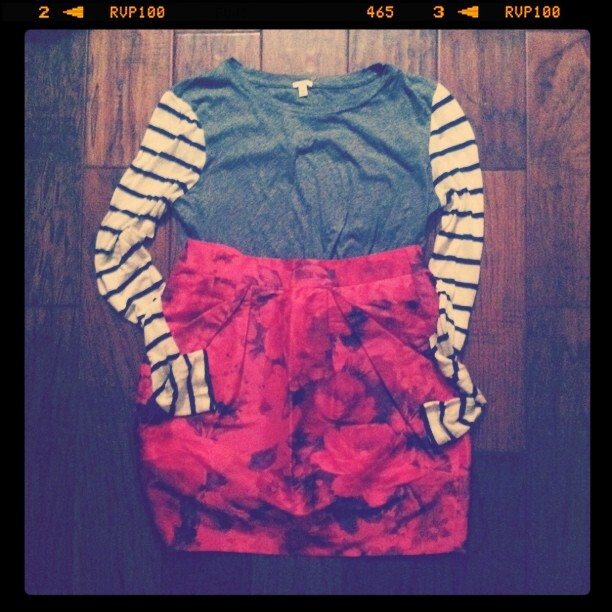 i love the jcrew skirt!! ooooh i am kinda jealous of your fisherman sweater! too cute! need to check out chloe rose... can't believe i've never been there! Feel better sweets. Love the shorts and fisherman sweater combo. Cozy! Such beautiful and artistic photo's. Love your Chloe sweater. I love the shots! :) ~All the things you took pictures of are beautiful. Love your chloe jumper! And hello, that mansion...yes please! Love your j. crew goodies. That sweater looks super cozy. I want one!